This believed-to-be lost German silent film, directed by Ernst Lubitsch, resurfaced a couple of years ago and was saved with a careful restoration of the aged film stock into an immaculate digital format. PEPLUM films were big during the silent era. The exotic aspects of the stories gave audiences never-before-seen views of long lost cultures they could only imagine in text, or captured in some paintings. The spectacular sets, costumes and 'cast of thousands' were some of the reasons why this particular genre stood out from the rest. They were truly cinematic in nature. The PEPLUM films of the silent era were the foundation of those made during the Golden Era, between 1949 and 1965. Without films like CABIRIA or this one, the genre wouldn't have been the same. Cecil B. DeMille's THE TEN COMMANDMENTS (1923) had really spectacular sets depicting Ancient Egypt, plus an enormous cast. Extras could be hired for about five dollars per day plus a free box lunch. No unions or CGI! 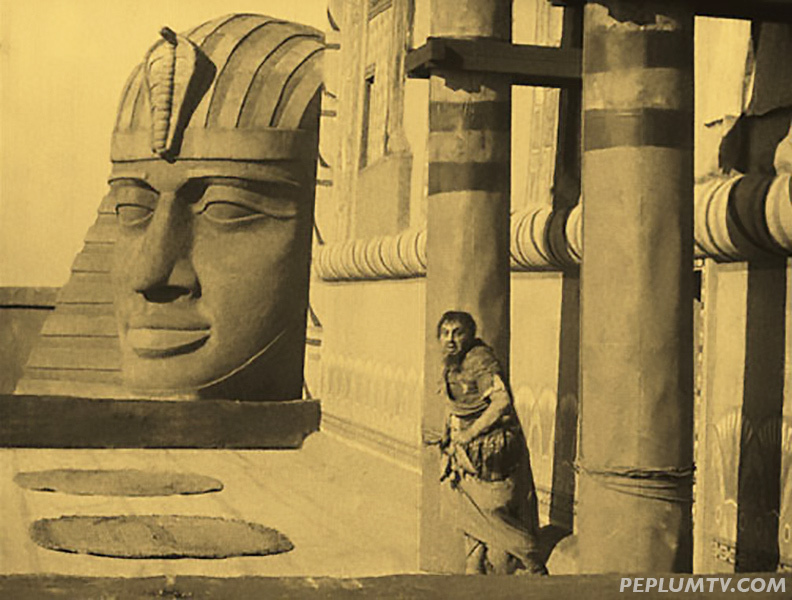 DeMille buried the sets after the completion of the film. Some of them have been unearthed in California. Unfortunately the second half of this movie tries to show the relevance of the Ten Commandments to contemporary life in San Francisco. It is much less interesting than that portion of the film set in Ancient Egypt. It is misleading to describe such films as "silent," as they were always accompanied in major movie palaces by large orchestras. Many of the musicians were talented Jewish refugees fleeing the economic and political chaos of post WWI Europe.